Thirty diverse visual interpretations of the theme, “Pinoy Pride”, in oil and acrylic are on exhibit from March 13 to 20, 2018 at the Little Theater Lobby of the Cultural Center of the Philippines. The exhibit pieces are the works of fine arts students, aged 18 to 24, from all over the Philippines. The 30 paintings constitute the finalists, chosen among more than 70 entries to the 32nd edition of the DPC-PLDT Visual Arts Competition (VAC 32), sponsored by Directories Philippines Corporation and the Philippine Long Distance Telephone Company. The annual nationwide competition showcases and immortalizes the winning artworks on covers of telephone directories distributed in Metro Manila and other key urban centers and regions across the land, as well as on multiple online and mobile platforms. 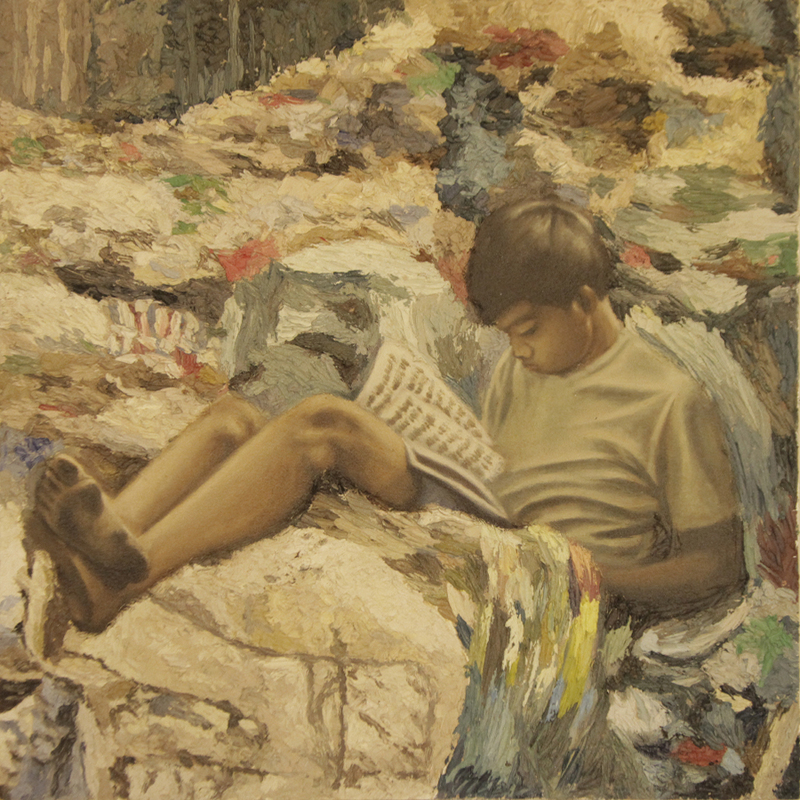 The 29”x29” paintings rendered in a variety of styles—realist, impressionist, graphic, and abstract, among others—were the nation’s young artists’ response to the VAC 32 invitation to “bring to light the things inherent in our national identity, culture and diversity that are sources of immense pride unique to Filipinos”. DPC-PLDT officially launched the contest in November 2017 and will announce the winners of VAC32 on March 20, 2018 at the Main Lobby of the Cultural Center of the Philippines in Pasay City at 1:30 p.m. 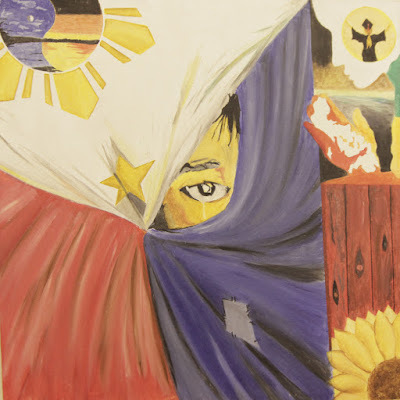 The student who painted the first-place winning entry will receive P100,000 in cash and the VAC32 Grand Prize Trophy; in addition, his/her school will receive a P40,000 donation for it’s fine arts program. Second and Third Prize winners will receive P75,000 and P60,000 in cash, respectively, plus trophies and corresponding donations to their respective schools. Besides the trophies and cash prizes, the Grand Prize winner will have his/her work featured on the cover of the 2018-19 Metro Manila telephone directories of DPC (Yellow Pages) and PLDT (White Pages). The VAC annual competition is a much-awaited event in the art world, particularly for young artists, as it gives recognition to the abundance of creative and artistic talent available in the country’s fine arts schools.